DIY frozen pops for baby pets! 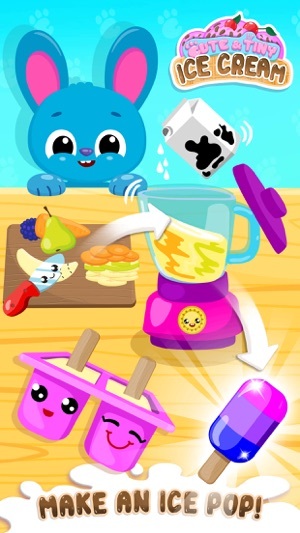 Let’s have fun in this super cool ice cream making game for girls and boys, kids and toddlers! 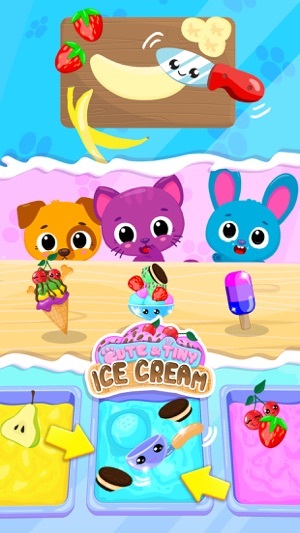 Visit Cute & Tiny Ice Cream Shop, become a little kitchen chef and make yummy ice pops for kitty Sue, puppy Bu and bunny Blu! 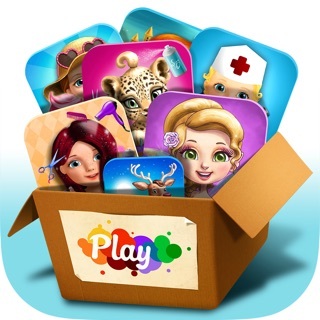 Choose among tons of fruity flavors and rainbow colors! Add toppings, cookies and sprinkles to your surprise frozen treats for little kids! 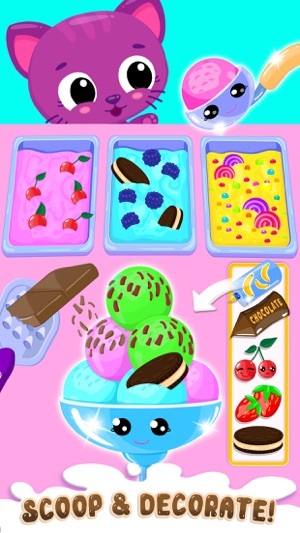 You can make so many yummy and colorful frozen desserts at Cute & Tiny Ice Cream Shop! Scoop colorful ice cream and decorate it with chocolate, strawberries and cream cookies! Now you have a yummy and pretty sundae ice cream for tiny kitty Sue! 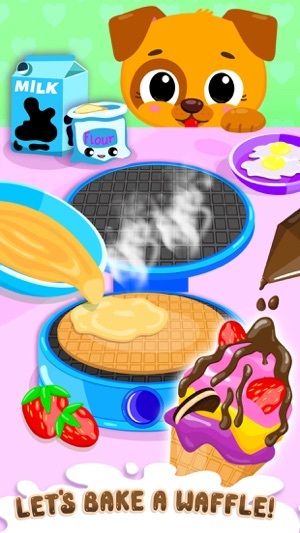 Let’s bake a waffle ice cream cone for puppy Bu! Smells yummy! Now add grape, banana and apple flavored soft ice cream! So colorful! Add some yummy chocolate topping! 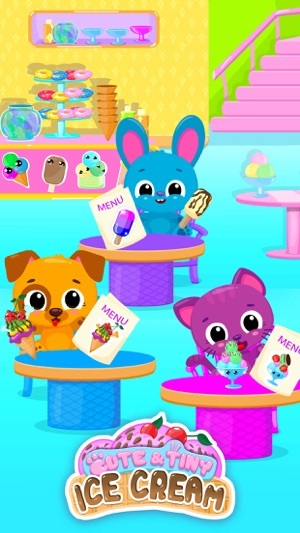 Add juicy cherries and dog cookies to finish up baby Bu’s ice cream! Chop and mix together bananas, pears and carrots! Freeze the juicy smoothie mix and make a super tasty and colorful ice pop for your pet friend baby bunny Blu! What a yummy frozen dessert! You are the best ice cream maker, little chef!